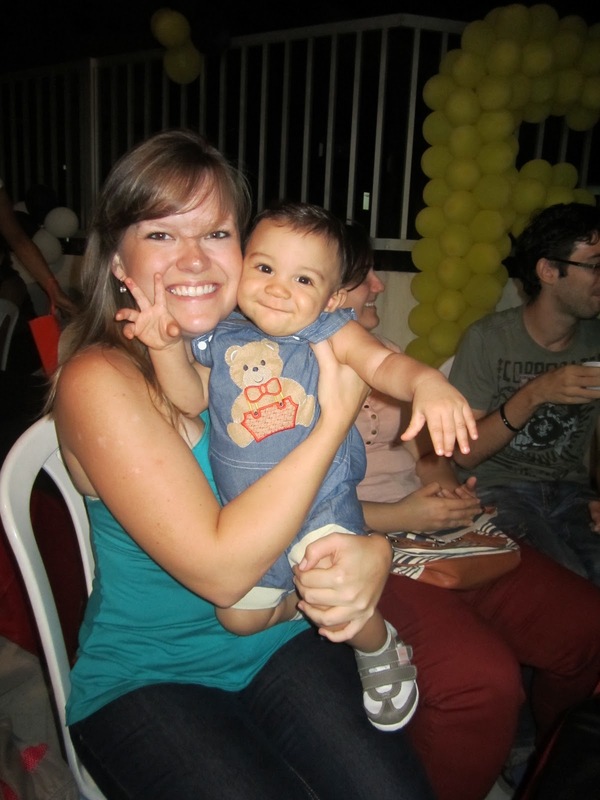 Living and loving in Natal, Brazil: Where Have I Been? 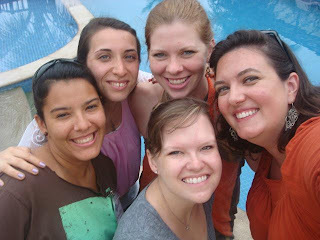 ...gone to a "youth retreat" in Fortaleza with 15 of our young people, ages ranging from 14 to 30. Yes, we all participated in the same retreat. No, it wasn't weird. I love that about Brazil! ...spent a week in São Paulo at the Continent Care Connection, a conference for missionary women working in South America. Adequate adjectives do not exist to describe this conference. It was my third time to participate (2008 and 2010) and, as always, it was life-changing. I am so blessed to have woken up to that view each morning, shared my life with these girls each day, and reconnected with Rachel McClure, a family friend who has been a part of my life for as long as I can remember. ...celebrated Thanksgiving with dear friends by eating Mexican food and roasting marshmallows for s'mores over my kitchen stove. ...fallen more and more in love with the sweet personality of this little guy. He may look familiar...this isn't his first time on this blog! ...had the honor of being a bridesmaid for the first time in a Brazilian wedding. My dear friends, Robson and Maihana, got married after four and half long years of dating. Couldn't be happier for them! ...finished the book of Luke, started the book of Acts, and celebrated the end of a great semester with my Monday night English class! Many other things have been going on, but these are the events I have photos of! It has been a busy but fulfilling semester. A week from today I'll be zipping up my suitcases to leave for my 6-week furlough. I can't wait to share, in person, about all God has done and continues to do in Natal. I am blessed. Thanks sharing this trip idea, I realized that this is a perfect place to enjoy weekend with family. Your photo describes that you enjoyed a lot with your family. 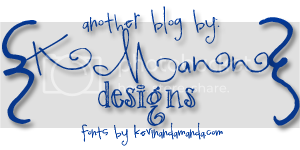 This place is perfect for my website to get customer. Ones again thanks for sharing.